probably wait until 4,000 hours before we even have to check for wear." President, W.N. Whitlock. 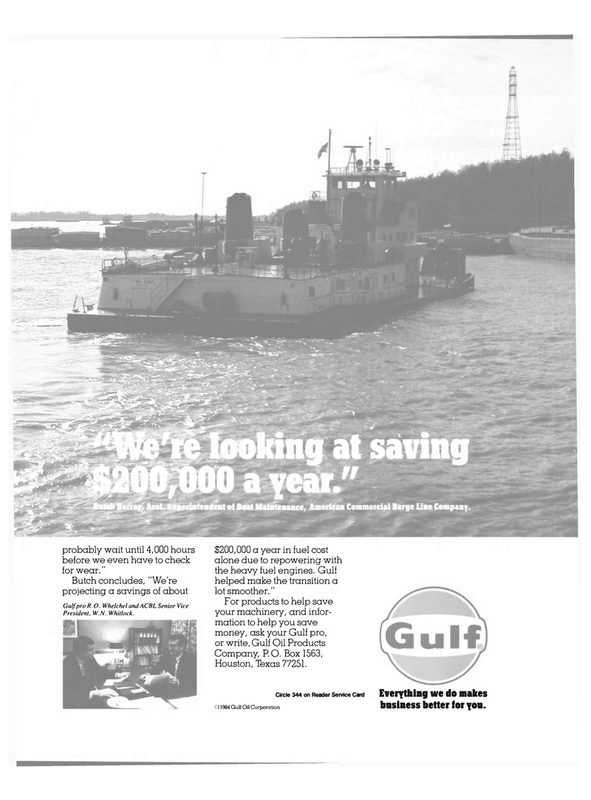 $200,000 a year in fuel cost alone due to repowering with the heavy fuel engines. Gulf helped make the transition a lot smoother." Eveiything we do makes business better for YOU.